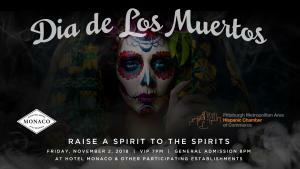 Join us for an evening of cuisine, live entertainment, and cocktails in celebration of the ancient Hispanic traditon, Día de los Muertos! 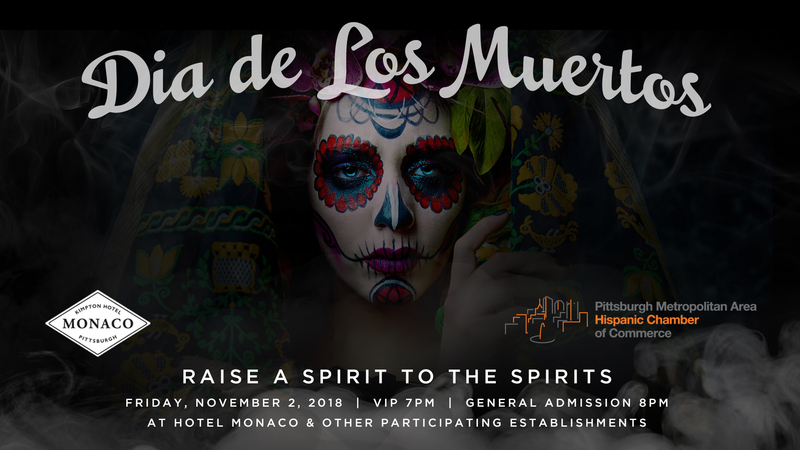 Honoring this tradition in Pittsburgh, the annual celebration will unite attendees with a handcrafted toast celebrating the growth of a city, culture, and people. Acrobatique Creative and the Hispanic Chamber of Commerce are excited to collaborate and create a deliberate approach that celebrates diversity and increases access to opportunity for a more equitable quality of life for all.